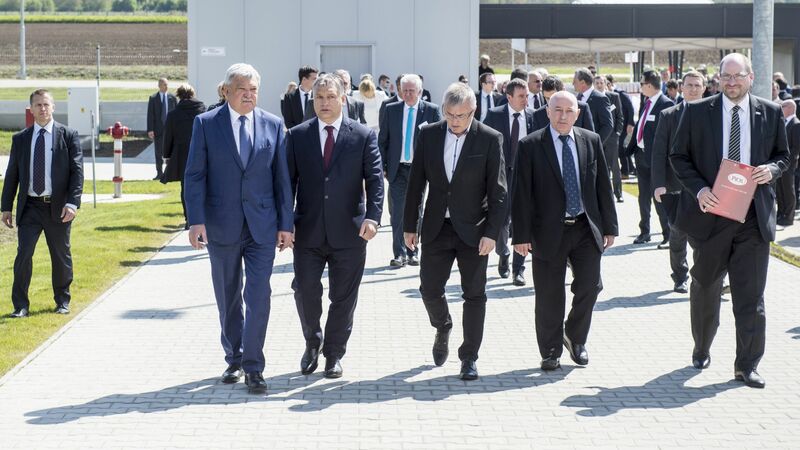 Prime Minister Viktor Orbán and Sándor Csányi, shareholder of MCS Vágóhíd Zrt., have officially delivered the most modern slaughterhouse of the region in Mohács. The pig slaughtering, deboning, cutting and meat packing plant established with an investment of EUR 6.7 million is able to slaughter 800,000 normal-weight pigs and 100,000 heavy-weight pigs. The pigs come in part from the small and medium-sized livestock farming members of the Bonafarm farmer cooperation system and in part from independent domestic pig farmers. Once the new slaughterhouse runs at full capacity, it will provide jobs to more than 600 people. In cooperation with the Bonafarm Group, MCS Vágóhíd Zrt. decided to establish a modern slaughterhouse in Mohács in 2014. The plans also included a modern packing and logistics facility, thus the plant will also meet the most stringent animal welfare, food safety and environmental requirements. After the completion of the project, one fifth of the slaughter pigs raised in Hungary may be processed at this slaughterhouse and more than one third of this quantity will be exported. As a result of all this, the domestic and international sales opportunities for Hungarian pork may further improve. 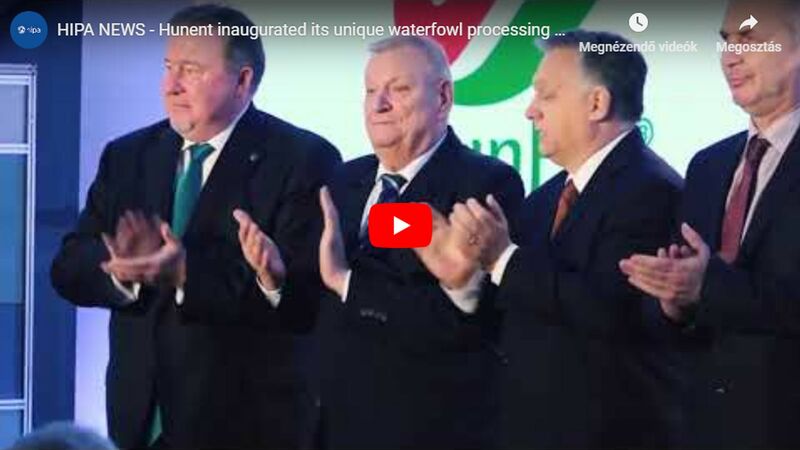 In his address, Attila Csányi, CEO of Bonafarm Zrt., pointed out that Bonafarm was constantly developing the farmers' community established by it, which consequently operated competitively even at the international level. The company has spent more than HUF 50 billion on developments in the food economy since 2010, which is to be followed by further modernisation worth HUF 100 billion in the next 10 years. 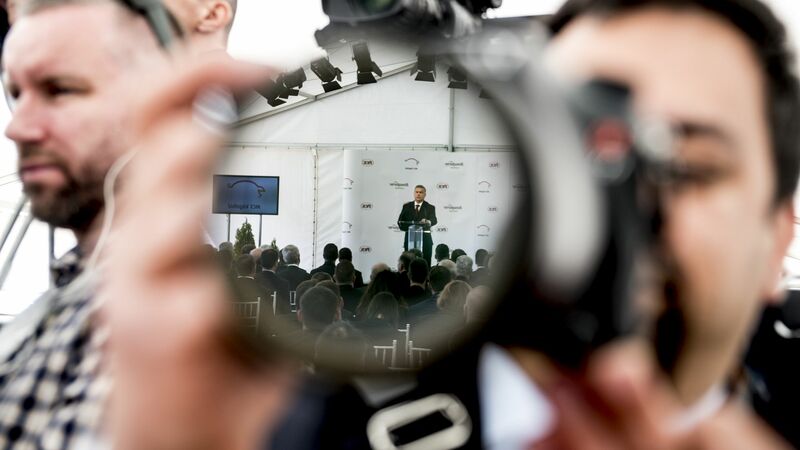 As a result of an individual government decision, the Hungarian Government provided a subsidy of HUF 2.7 billion for this project of HUF 21 billion through the participation of the Hungarian Investment Promotion Agency (HIPA). The provision of this subsidy is not by accident: one of Hungary's flagships is the food industry, and the development of the Hungarian pig sector is given an especially important role in the establishment of the goods base of the Hungarian food industry. That is why the Government adopted its pig strategy in 2012, according to which they wish to double the population of 3 million pigs by 2020, which will, in addition, result in about 20,000 new jobs in the Hungarian national economy.